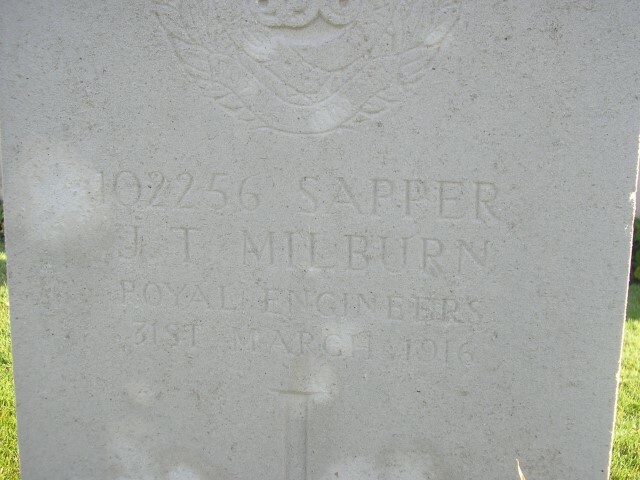 102256 Sapper John Thomas Milburn, 177th Tunnelling Company, Royal Engineers, died 31 March 1916 and is buried at Etaples Military Cemetery, France. He was 44 years old and is commemorated on Shildon War Memorial. In 1881, the family lived at Swan Row, Evenwood. By 1891, 47 year-old William worked as a coal miner as did 19 year-old John Thomas and they lived near the Oaks, Evenwood [possibly Stable Row]. 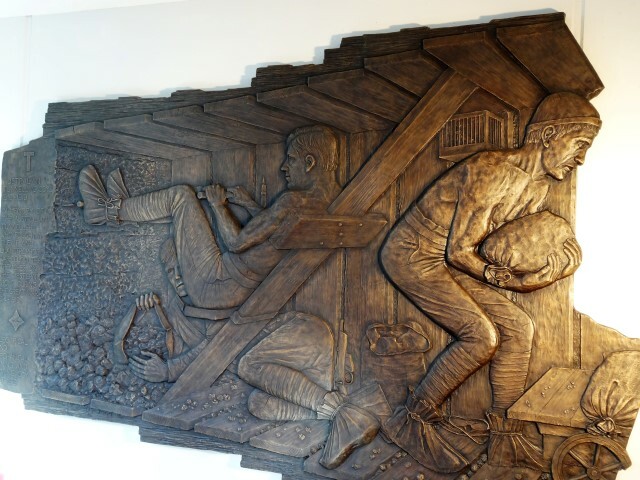 By 1911, John Thomas Milburn worked as a miner and the family lived at Etherley Dene, Bishop Auckland. By the time he enlisted in 1915, the family lived at Hollands Hill, Shildon. John Thomas’ mother and sisters lived at Evenwood. 7/6/15 transferred from N.Co. to 177 Tunnelling Co. R.E. Sapper J.T. 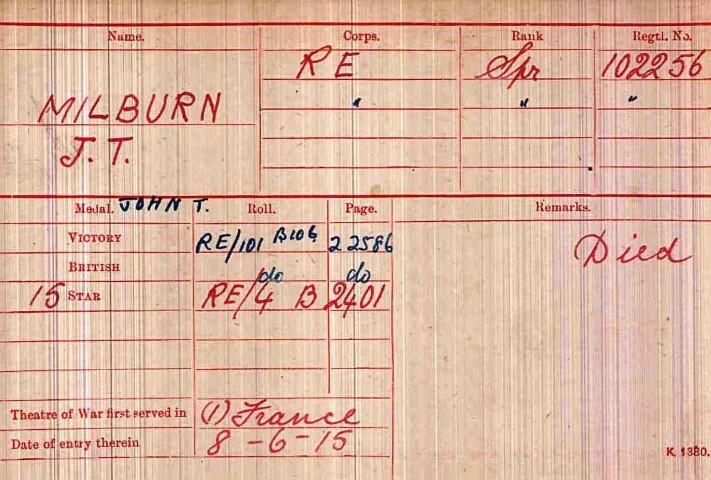 Milburn was awarded the 1914-15 Star, the British War and Victory medals. 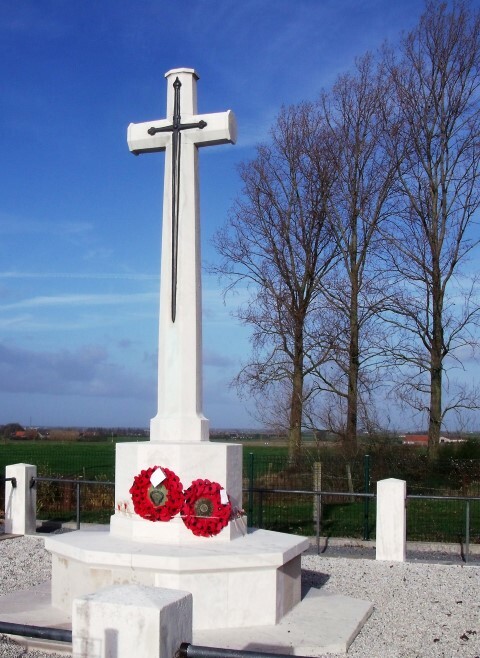 Etaples Military Cemetery: Etaples is a town about 27km south of Boulogne, Pas de Calais, France. During the First World War the area around Etaples was the scene of am immense concentration of Commonwealth reinforcement camps and hospitals. It was remote from attack other than aircraft and accessible by railway from the northern and southern battlefields. In 1917, 100,000 troops were camped among the sand dunes. The hospitals could deal with 22,000 wounded or sick. The cemetery contains 10,773 Commonwealth burials of the First World War. Sapper J.T. Milburn is buried at grave reference VI.E.6. Sapper J.T. 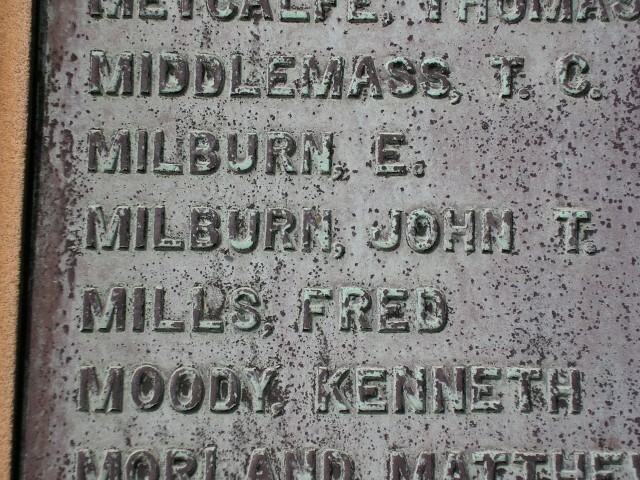 Milburn is commemorated on the Shildon War Memorial. Major General F. A. Dudgeon C.B. G.C.C. 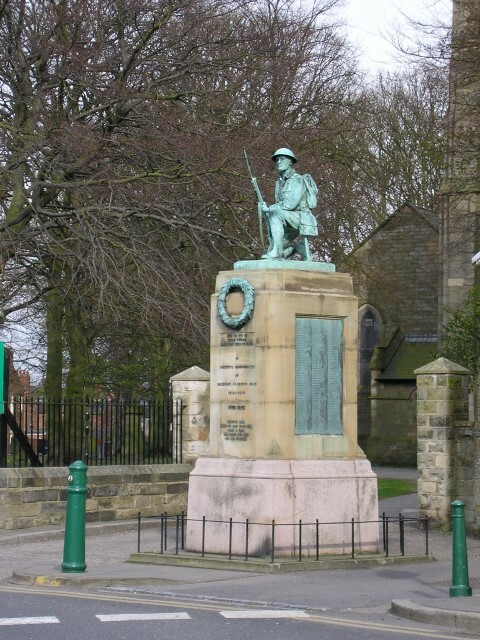 50th Northumbrian Division unveiled the Shildon War Memorial on the 13th October 1923. The cost was £875 and the money was raised by public subscription. There are 255 names commemorated from the Great War and 137 from the Second World War. 157781 Sapper William Hull Bagley is another local man to be killed in action whilst serving with the 177th Tunnelling Coy, the Royal Engineers. He died 4 July 1917 and is buried at grave reference XXVII.D.16, New Irish Cemetery near Ypres and is commemorated on the St. Helen’s Colliery Memorial Cottages roll of honour and West Auckland War Memorial.